Chance are you may own a bag like this. Most people with an X chromosome recognize these colorful and vibrant patterns as Vera Bradley designs. I own a great carry-on piece by the company that I take everywhere with me. Guess what? I have found the perfect place to take our Vera Bradley luggage. It's an inn in Seaside, Florida, located on Northwest Florida's Gulf Coast along the scenic Highway 30A corridor in Walton County nestled between Panama City Beach and Destin. 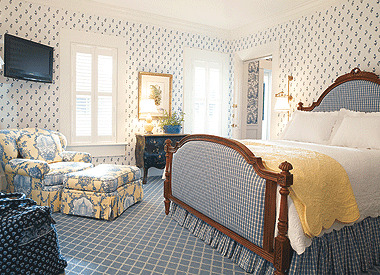 This quaint and colorful nine-room inn was designed by Vera Bradley co-founder, Barbara Bradley Baekgaard, and her design team. The community of Seaside is a modern Victorian town with narrow streets, picket streets, and pastel-hued dwellings. Some may say it is even looks "perfect", and was showcased as the backdrop in the 1998 Jim Carrey movie, "The Truman Show." I think it is the perfect vacation destination so let's take a peak at inside the inn. 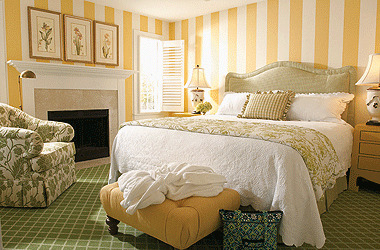 This is the Key Lime Room. The True Blue room. I've always loved yellow and blue together. And this is the Posies Room. The pop of red is so warm and inviting. ﻿ I think this may be a favorite room of mine. 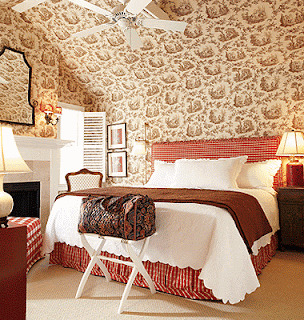 Wouldn't your Vera Bradley luggage feel right at home here in the Sunset room? 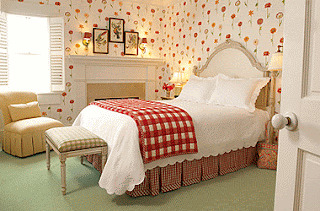 Every guest at Inn by the Sea, Vera Bradley has full privileges at the private swim, tennis and fitness club in Seaside. Continental breakfast is also included in the rates. Now through June 23, you can save $99 per night. 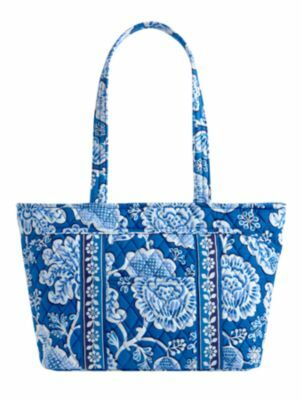 This never before offered deal is available on stays Sunday-Thursday in the Inn by the Sea, Vera Bradley. Multiple rooms are being offered for various dates. You may call 855-811-8113 for availability. This inn is perfect for those special romantic get-aways. Guests must be aged twelve and older to stay in the inn. Cottage Rental Agency in Seaside has many beautiful properties that would be ideal for families this summer. As guests on Seaside, you also have access to three pools, six tennis courts, and a private fitness center. 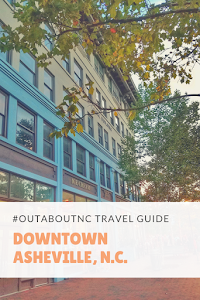 The quaint town center has shopping, dining, and entertainment. Seaside also offers Camp Seaside which offers an ideal setting to have fun. Young people can share in creative activities with others their age, building friendships and enjoying a time of learning and growing in a supervised setting. From wacky games to art projects like making sun-catchers, to fun in the pool, there are age-appropriate daytime activities for ages 4 to 12. Seaside also offers Kids Night Out in the summer in addition to Camp Seaside. I've said it before. A place that offers camps for children is my kind of destination. 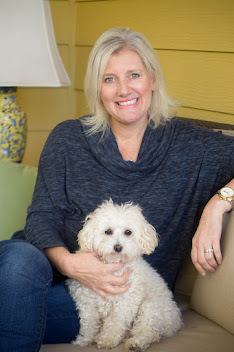 I have never been to Seaside, Florida, but I do have a little souvenir from there. My mother-in-law brought my husband and I these great bottle holders with "Seaside" written on them from one of her vacations years ago. We love them, and call them "little scuba suits" for our high quality brews. They've held up well through the years, but I think it's about time for us to head to Seaside to get new ones, and bring home some family memories, too. Let's go! 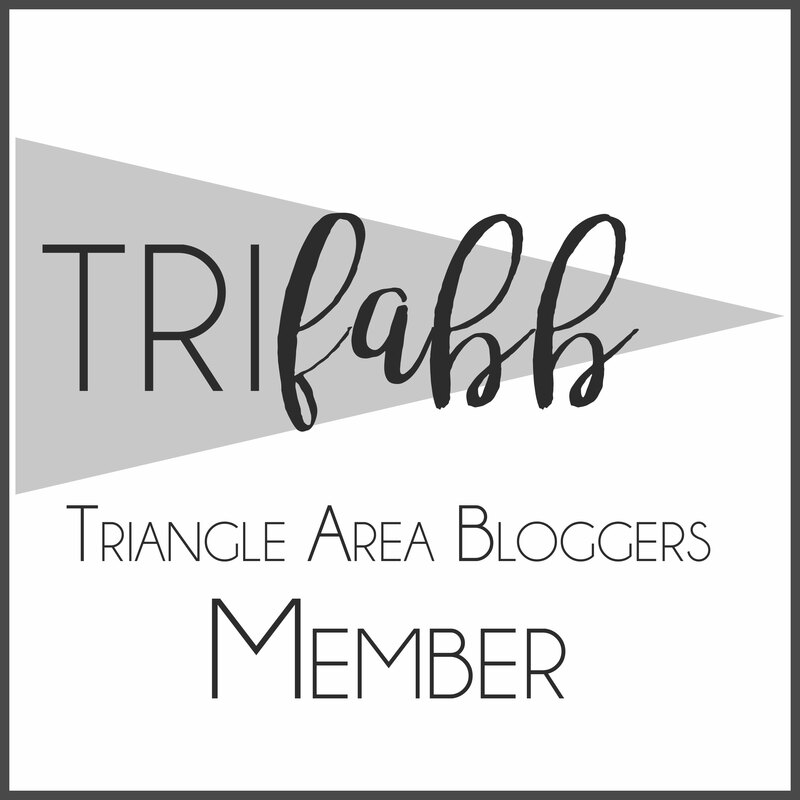 It won't take me long to pack my Vera Bradley bag! 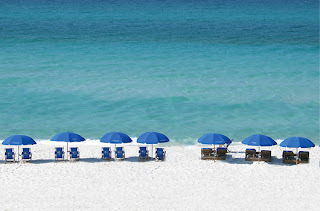 For more on Florida and Seaside, visit http://www.visitflorida.com/Seaside.